Michelle graduated from Washington University in St. Louis and earned her law degree from George Washington University. Years of diverse professional experience give Michelle a strong foundation in networking, communications and a wide range of relationship-building skills. A passion for connecting people led Michelle to leave the legal profession behind, follow her heart and enter the world of matchmaking. 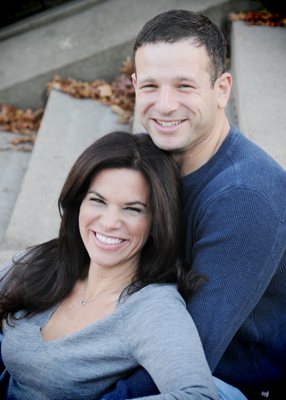 She founded NYCity Matchmaking with the simple goal of helping others find love. Years later, NYCity Matchmaking has become a premier matchmaking agency for both men and women searching for attractive, educated, intelligent, commitment-minded singles. Michelle is married and the mother of a precious baby girl. Finally, in my late thirties, I made dating my number one priority and in a New York minute—actually, six months after our first date in Central Park—my fairy tale came true when the love of my life proposed! Now as a family, we continue to frequent our favorite park with our precious baby girl. After realizing my own romantic dreams, I was inspired to create NYCity Matchmaking with the goal of helping others make it safely through the dating mine field and live out their own “happily ever after!